UPDATE: Bluebell wins her second start at two and is our third winner of the season! 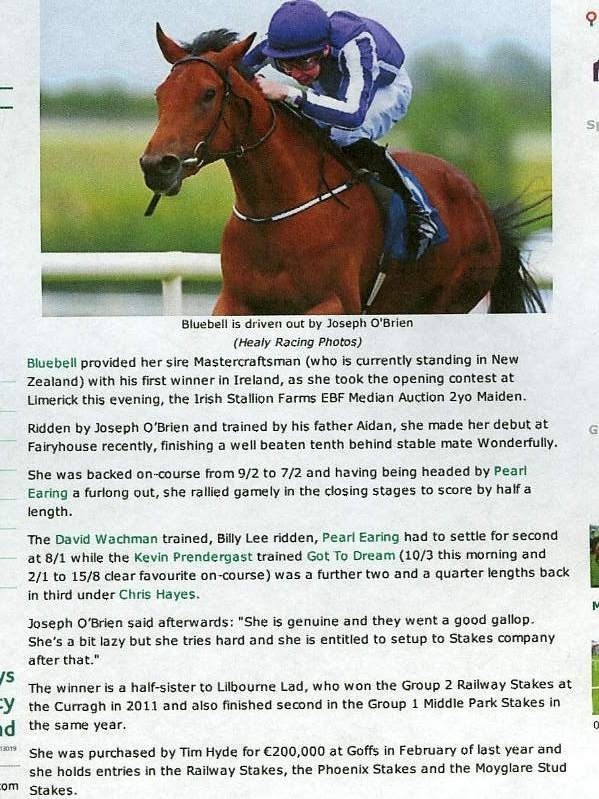 Article from Irish-Racing.com, 15.06.13. 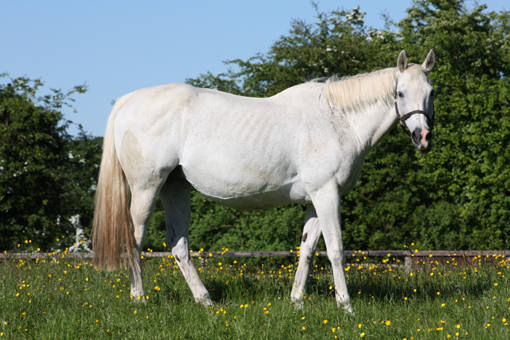 Bluebell is Sogno Verdes third 2yo winner from 4 runners. Mid-summer racing is in full swing and Royal Ascot is only two days away! Credits are also going to Khatela who is currently having a great run with her progeny: after Irish Kind (3yo colt by Cape Cross) finished third in a Listed Race in Longchamp 10 days ago, we are delighted with Busted Tycoon (by Marju) who won her second hurdle race very easily indeed (pic below: Busted Tycoon winning her first race). 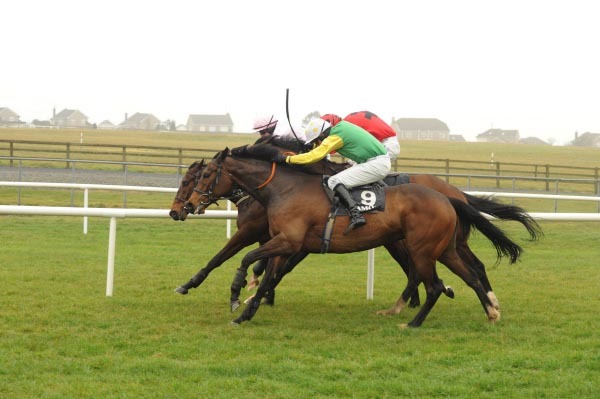 She will probably be aimed at a valuable race at the prestigious Galway Festival. Furthermore, Kathelas 2yo has been named Late Night Mark, and the word is that he is pleasing his trainer Charlie Hills in his work. All going well he will be on the track in mid-summer. We have also learnt that the Miss Shaan - Acclamation 2yo filly has been named Miss Acclaimed. She is due to appear on the track in the next week or so for trainer Brian Ellison. Exciting times! Khatela, now 18, is making a comeback as a winner-producer! Here pictured with her 2013 filly by Lilbourne Lad. 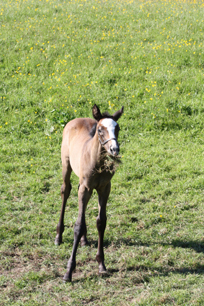 Below: Acclamation - Sogno Verde filly. Miss Shaan (22) has the secret of eternal youth! 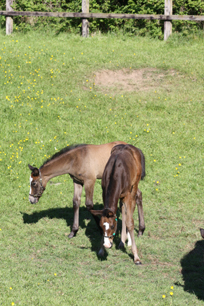 Meanwhile we are enjoying a healthy 2013 crop of beautiful foals. The Milky Bar Kid (Lawman - Ezalli) and Chip (Duke of Marmalade - Miss Shaan) are best friends!